Our next meeting will be on Thursday, May 8 at 5:45 pm at the DEC office at 901 NW 8 Ave., Suite A-3. 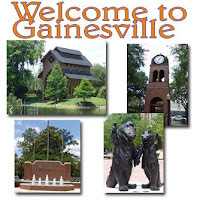 You can download the registration form for the Florida GLBT Democratic Caucus meeting that we will be hosting in Gainesville on July 19 at this link. The conference promises to be an exciting one as we begin to confirm speakers and iron out details. We expect to have a panel on gender identity ordinances as well as hear from speakers such as Nadine Smith from Equality Florida, Gainesville Mayor Pegeen Hanrahan, and the Director of the ACLU of Florida LGBT Advocacy Project, Robert Rosenwald, among others. Remember, conference registration also includes a social at Wild Iris Books on Friday night and a Saturday night reception at the Pride Community Center. You can request to be added to our e-mail listserv (2-3 emails a month) by emailing StonewallDemsAC at gmail.com Use the "@" symbol instead of "at."